The Romance Cover: Karina Halle Giveaway ~ Happy 2nd Birthday Headline Eternal! Karina Halle Giveaway ~ Happy 2nd Birthday Headline Eternal! Headline Eternal Publishing are celebrating their 2nd birthday! 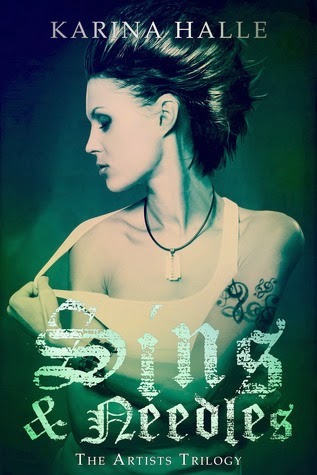 So today we are spotlighting one of their authors, Karina Halle and book 1 in her Artists trilogy, Sins & Needles. Plus courtesy of Headline Eternal we have a giveaway for you! Donna also gave it 5 Stars! Not read Sins & Needles yet? Well here is your chance. Thanks to Headline Eternal we have two paperback copies to give away!